Many hunters who use trail cameras to help them scout an area for the game eventually settle on just using one brand after trying many different ones. 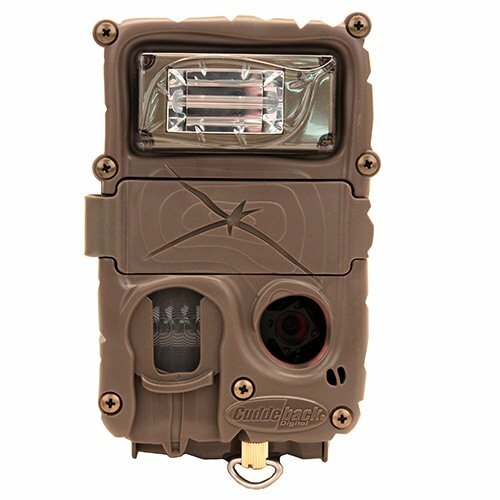 A brand name that a lot of successful hunters mention to us that’s their go-to hunting trail camera is those made by Cuddeback. This company has definitely established themselves as a leading manufacturer of trail cameras. 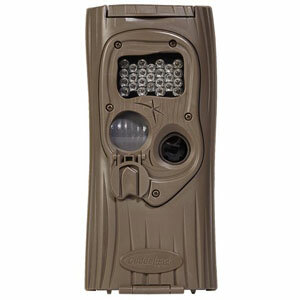 They offer quality game cameras in all different price ranges and are a leader in wireless game camera technology too. We decided to talk a little more about their best-selling Cuddeback Trail Camera models and also take the time to tell you a little more in our Cuddeback Trail Camera Reviews about why these are such a popular choice among hunters. 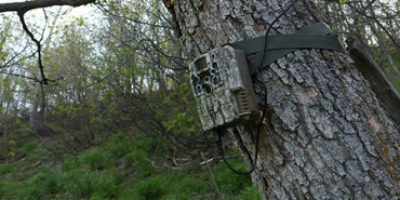 Cuddeback makes some of the most solid game camera models in the hunting marketplace and they prove that with this one. It has everything you need to thoroughly scout an area of land for the game that roams around in it. This camera can even be linked to a wireless setup if you purchase a separate adapter. 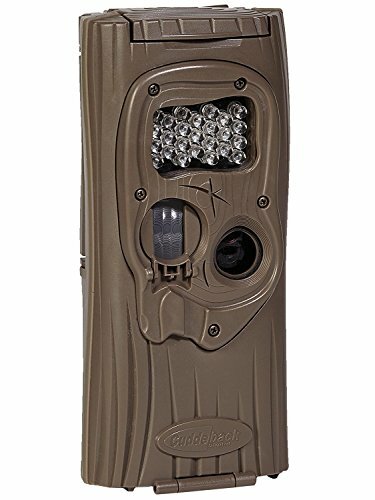 What makes this model game camera so popular? It all starts with the very high 20 megapixels of resolution you get when taking still photos with it. That is as much or more detail as you will get with any trail camera. The trigger speed on it is a lightning 0.25 seconds and it will detect movement up to 100’ away also. For its nighttime photo taking capability, you get a choice between two popular flash modes. You can choose either lo-glow or invisible infrared flash modes. Lo-glow infrared flash tends to allow you to get better range on your nighttime photo taking efforts. 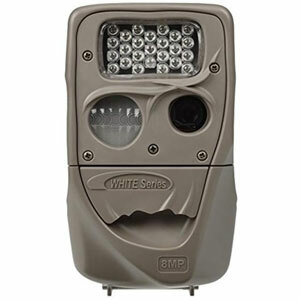 Its black infrared flash (invisible) will not spook game and is unseen by the human eye too if you are using this game camera as a security camera. It uses larger size ‘D’ batteries so you get a little longer battery life than normal with this trail cam. 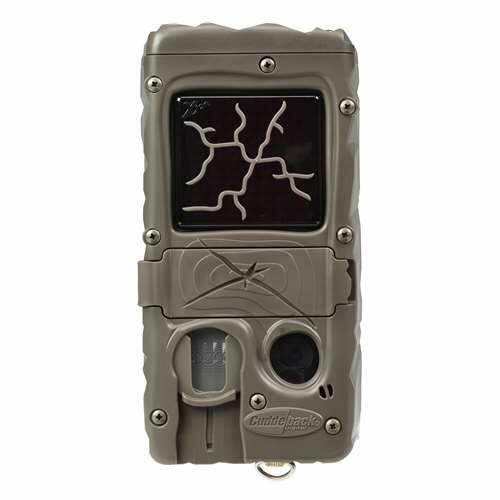 This game camera is made out of durable plastic, is sealed up well against moisture and all its electronic parts are coated with a water-resistant barrier. 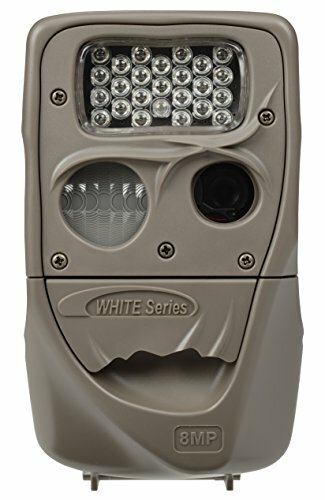 Wireless trail cameras are becoming ever more popular because of the time savings they offer to those who like to scout for the game with trail cameras. This wireless trail camera model from Cuddeback is both unique and creative. It can be linked with several more cameras too that will send their photos to just one home base receiver. Unlike many other wireless trail cameras, the Cuddeback models do not require you to be signed up with a cellular service provider. This is something that will help keep their long-run costs down. 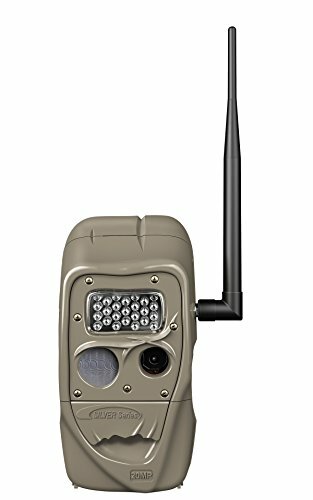 The cameras that can be linked together and used as wireless trail cams are loaded with many nice features. These cameras feature such great attributes as an outstanding 20 megapixels of photo resolution and an amazingly quick 0.25-second shutter speed. That means you get crystal clear images of the entire animal that tripped the motion sensor almost every time. There are other qualities to like about this trail camera model too. They feature 24 infrared LED’s that will give you a nighttime photo-taking range of over 80’. Best of all, the built-in green screen allows you to program each trail camera very easily. If you scout for the game often enough with a trail camera you know the importance flash distance plays in nighttime photo taking. The more distance you get with a flash the better you scan an area during the more active night. This trail cam really gives you that ability because of its long-range nighttime flash. 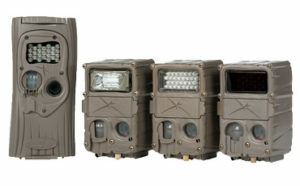 It will light up an area up to 100’ in front of the camera when its 21 infrared LED’s go off in a synchronized flash. Excellent long range nighttime flash ability is not all you get with this Cuddeback game camera either. It has an outstanding 20 megapixels of photo resolution quality too. That means you will easily be able to identify and track any game animal this trail camera takes a photo of. It even has the ability to record HD video in short bursts too. It also features Cuddeback’s lightning fast 0.25-second trigger speed. That means you catch the whole animal when its motion sensor picks up movement. You can also set the motion sensor to detect game in a narrow or wide range. It has better than average battery life and both simple and expanded programming modes. This is also a very affordable game camera considering how well it works and all the many features it has. Are you looking for an affordable camera that has many features despite its low price? Then this Cuddeback camera will definitely interest you. Its Cuddeback’s entry-level model game camera but it still comes with many useful features. This trail cam does a lot for what you will pay for it. Included with it you get decent 8-megapixel photo resolution and a better than average 0.5 second trigger response time too. You can also take 10 to 30 second HD video burst with it too. Nighttime photo taking is greatly enhanced by this trail camera’s lengthy 75’ infrared LED flash range. It’s a trail camera with excellent motion sensing capabilities too. It will trigger a snapshot when most any animal comes within 75’ of it. You can also set its motion sensing capability to focus on a wider or narrower area too. This trail camera is very easy to program too; it’s as easy as setting the time you want your alarm clock to go off. In no time at all you can have it set up and ready to use. Speaking of easy, the ‘genius’ mounting system that comes with it makes it simple to attach to just about any tree too. Here is another very affordable trail camera from Cuddeback. It’s perfect for those who are new to using game cameras that want to experiment doing it without investing much money in it initially. It’s a budget-friendly trail camera but doesn’t mistake that for meaning you can’t do many things with it. This game camera will pleasantly surprise you with all that it can do for what you pay for it. It starts out with its more than adequate 8 megapixels of photo resolution and it will also shoot good quality bursts of video. This camera has a fast trigger speed of around ½ second and a recovery time of less than1 second too. For nighttime photo taking it lights up the area around it using 24 lo-glow infrared LED’s. This is another trail camera from Cuddeback that’s very simple to program too. You just set its dial to the type of photos you want to take and then a few more presses of its buttons and you are up and running. Another nice thing about this model game camera is that it also comes with a mounting bracket and straps. Other than an SD card and batteries, everything else you need is included right in the package. This is definitely one of Cuddeback’s top of the line game camera models. There are so many things that you can do with it. It’s loaded with great features that help it deliver super-high quality photos and make it simple to use. There are not many trail cameras in the sports marketplace that compare to this one. With this Cuddeback trail camera, you can take high-quality pictures of the game animals that roam an area thanks to its 20 megapixels of photo resolution. This camera also has the rare ability to take both day and nighttime color photos. There are several different selections for taking photos and videos with it too. One of the unique features you get with this camera is the ability to select the type of flash module you want to use with it. There are three interchangeable flash modules in all and each one has advantages and disadvantages to using it. You get to choose which one works best for what you are trying to accomplish with your trail camera setup. There is even a mounting bracket and strap included right in its packaging. Once you mount it to a tree the first time you simply slide it on and off the brackets for easy handling and remounting. Several high-resolution trail camera models to choose from! 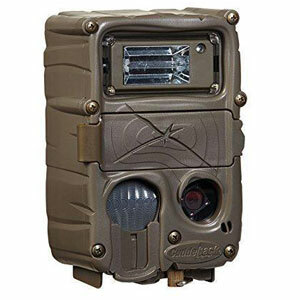 Cuddeback has mostly high-resolution trail cameras. You have seen the ones in our reviews go as high as 20 megapixels of photo resolution. That means with their cameras you will get more animal detail than you will with some other trail camera brands. It does not matter how good a trail cameras resolution is if it does not trigger photo taking when an animal approaches. That’s not a problem at all with Cuddeback model trail cameras. 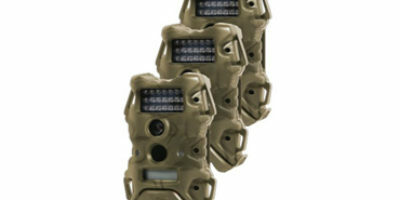 Almost every trail camera they make uses advanced low-light CMOS motion sensors. If an animal approaches a Cuddeback camera you can bet it will snap a photo. Many of their sensors can be set to scan in narrow or wider ranges too. 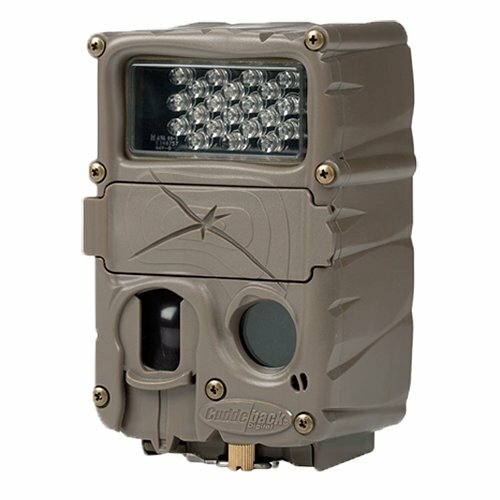 Cuddeback has a reputation for making trail cameras that are easy to program. Many of them are no harder to program than setting your alarm clock to wake you up in the morning. The included green screens built into these cameras help simplify the programming process too. There is nothing more frustrating when using a trail camera to scout for the game and only getting partial photos of the animals. Some brand cameras do this too often because they have slow trigger speeds. That is rarely if ever a problem with Cuddeback game cameras. Their cameras are known for having the fastest trigger speeds in the industry. Many models snap a photo in as little as 0.25 seconds once they detect motion. Cuddeback does a nice job of backing up their trail camera products. You get a 1-year warranty simply by purchasing one of their game camera products and that is extended to two years if you register your warranty with them online. Many of their trail cameras can be set up with wireless adapters so they can send the photos they take to a base unit at your home. Cuddeback’s game cameras will not usually blow you away with a lot of bells and whistles. What you do get with them is excellent quality day and nighttime photo taking capability in an easy to use the platform. 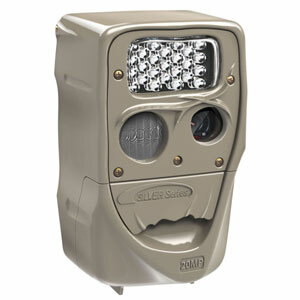 They make very reliable game cameras that are simple to program and are built to last also. Their cameras consistently offer among the best photo resolutions and also have excellent nighttime photo taking capabilities. You won’t go wrong when you purchase this brand after reviewing our detailed Cuddeback Trail Camera reviews.